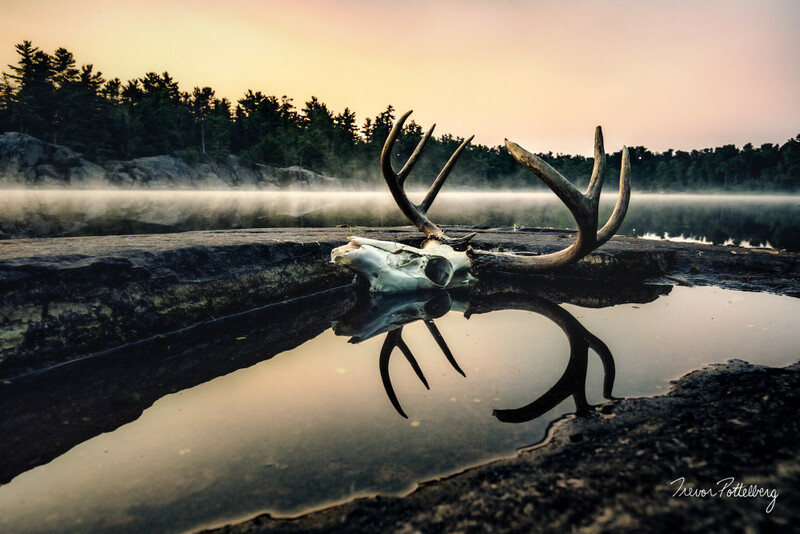 "Nature of the Beast" by Trevor Pottelberg, features the skull of a mature buck skull resting in a silently still pool of water. Pre dawn colours begin to fill the autumn sky, while rising mist dances along the surface of the cold lake waters. The harshness of nature is not always pretty, but it is a part of life.